If you look closely, you might recognize Gabby and Natasha Pitre in this photo. They are the young ladies second and third from the right in the front row. Saturday May 28th 2016 at the Northeastern Kentucky Fish and Game Association range near Ashland, KY. The range will be open for practice mid-day on Friday, May 27th for anyone needing to fine-tune his or her site settings. The range is also available every Friday for practice throughout the shooting season. This year's Ohio Valley Regional BPCR Match will be a 100-round match, (60 on Saturday & 40 on Sunday). Match dates are June 25 & 26, 2016 with a practice day scheduled for Friday June 24. Be sure to load lots of extra boolits! We’re looking forward to seeing old friends and enjoying a great shoot. 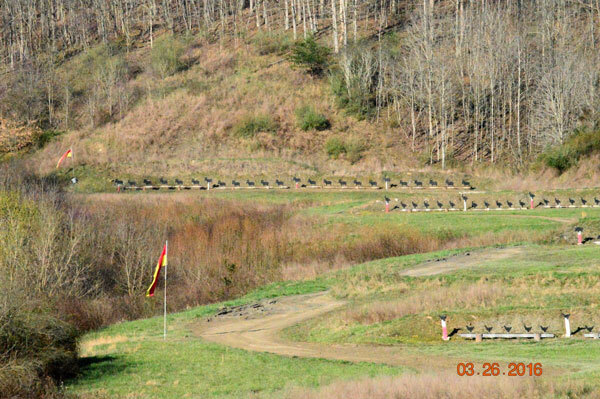 The Northeastern Kentucky Fish and Game Association, Black Powder Rifle Division, has a full schedule of events posted. Take a look and join the fun. Congratulations to the 2014 Kentucky State M1 Garand State Champion, George Eberhardt.